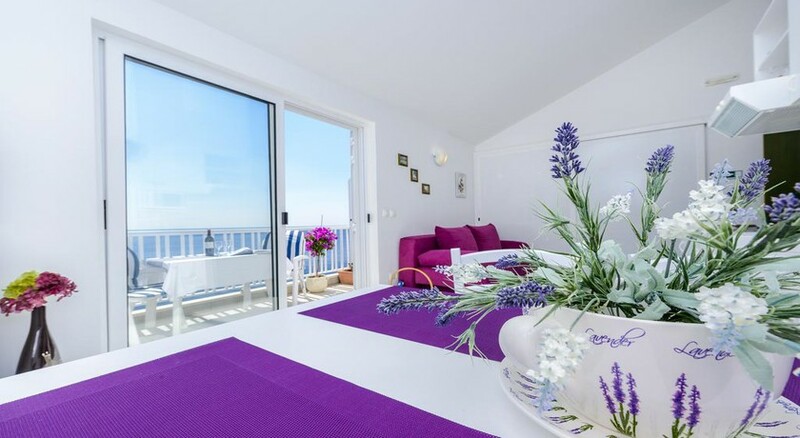 The apartments are located in a peaceful residential area of Dubrovnik enjoying a unique and magnificent seafront location. Walk to the beach- grocery stores- gift shops and local restaurants. Visit the elegant Rixos Hotel Libertas nearby. Enjoy the magnificent view of the coastal cliffs in a scenic 20-minute walk towards Old Town Dubrovnik. Each apartment is completely furnished. 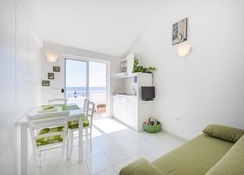 Each has one bedroom- a living room- kitchen- bathroom and a balcony with spectacular views to the sea as well as parts of Old Town and Lokrum island. Air conditioning- Satellite TV and parking are included. Sheets and towels are included and transfers from and to the airport can be arranged .